Ebay Question: Should I Offer Free Shipping? This is a beleaguered point within the eCommerce community. There are supporters of both sides. But here’s my point of view, offered specifically for you guys and gals who are focusing on reselling fashion on a small scale. If you’re a small business, one or two person show, with a low operating budget, you don’t have the resources to absorb the cost of “free shipping” and believe me, it will cost you. 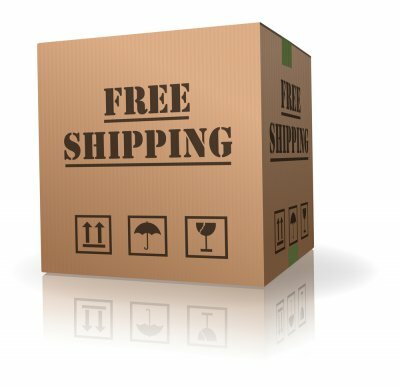 The simple fact that you are buying at thrift stores and liquidation, and offering your items at rock bottom prices, doesn’t leave you much financial room for marketing strategies like “Free Shipping.” There is no such thing as free shipping, just disguised shipping, and somebody is paying for it. It may bump up your listings in the Ebay search results. Notice that I say it “MAY” as in, it also may not. Those search algorithms change and there are a lot of other factors playing into the search bot’s calculations. Your price appears higher than your calculated shipping competition, even if it’s really not. You have to charge more for shipping than may be necessary to account for shipping an item farther. This is especially true for heavy or awkwardly shaped items (like boots or coats). Your buyer doesn’t know how much they are spending on the item and how much is the shipping costs. If the item is returned, Ebay’s return management system does not give you the option of deducting actual original shipping costs. You just have to eat it. The most compelling reason I have for using calculated shipping is that Ebay does not require sellers to offer free shipping to qualify for Top Rated status. So with that in mind, all those CONs staring me in the face, I offer calculated or flat shipping rates. Do you agree? Do you have a pressing Ebay fashion resale question? Comment below! Separator image Posted in ebay, fashion, resale, shipping and tagged with shipping.